Jilted 2 – It Hurts Worse When Churches Do It. All businesses do it. It’s inevitable. Every business eventually must de-employ someone. Economic downturns, poor social or skill fit, low performance, and of course moral turpitude are causes for a business to move someone to the exit ramp. Now of course there are more and less humane ways of doing it. But even when it’s done as painlessly as possible, it’s still a soul-destroying experience for people on both sides. Now while people decry it when Microsoft or Ford eliminate people, they reserve a particular form of acrimony for churches who do so. Yes, churches and religious institutions often do the same thing, perceive they must do the same thing. Why does a church termination, even when it’s for cause, feel like a unique form of betrayal far beyond what Apple or GE could manage? In order to reflect well on this question, the saintly mule needs to remind you of his own experience of forced termination. When his life exploded because of his own folly, he was put on administrative leave from the university he taught at while his case was reviewed. To this day I do not know what that review consisted of because that’s one way businesses limit their liability. But after several weeks of silence, I made an appointment with Human Resources to ask some questions about this process. When I arrived, I found the HR director sitting with the university’s pet attorney. The meeting opened with my being told that my contract was not being renewed and that a severance package would be extended so long I would sign an agreement that forbade me from speaking badly about the institution. I was further told they would pack up my personal belongings and my 3000 volume library in my office and have a moving company deliver them to my door, but that I was not permitted in the building or to have any contact with student or colleagues while the process wound down. When a snow storm prevented the office cleanout, I was allowed back in on a deserted weekend to finish packing things up under the watchful eye of a security guard, who searched me at the end to ensure I was not stealing office supplies. Well, I declined the severance package, so I suppose I’m free to say anything I want. But understand, I don’t tell this story to in anyway indict or criticize the university. I do not know if the things that happened represent “best practices” in human resources or zealous overreach. Frankly, it doesn’t matter. The point here is that, while I had expected my poor choices would ultimately cost me my position, I had not anticipated the process would be so sterile and dehumanizing, particularly in an institution whose publically stated motto was something like “Christ-like in all we do.” It felt like a colossal betrayal, not of me, but of the very mission of the institution that I had spent 15 years advocating in the classroom. This was my intellectual home. And it felt less like being released from a contract, and more like being disowned by my family. Now General Motors would have done much the same thing in this position, and it would still have hurt, but part of me would have shrugged and thought “oh well, businesses are like that.” But when churches or religious institutions do the same thing, it feels like a betrayal and a violations of their faith commitments. Why is this? Why does being terminated from a church feel so different, even when the termination was mostly your own fault? To get at this, let’s identify some ways that in which churches are not different from businesses. Whether anyone wants to admit it or not, churches are organizations. They have many aspects of the business world encoded into them by our society. You might say that ought not be so, but it is nevertheless a cultural reality. I was part of a home church of 20 people for over a decade, and despite our commitments to organic sobornost, we still had to file incorporation papers with the state, have a constitution and identifiable officers. There is no such thing as an abstract church. There are only churches incarnate within particular cultures, functioning within the confines of that culture. The American church lives in a particularly bureaucratic nation-state, and so long as tax codes, human resource requirements, and liability laws exist, the American church will have to interact with them. There is no such thing as an abstract church. There are only churches incarnate within particular cultures, functioning within the confines of that culture. And what’s more, as church’s grow in size and complexity, this administrative component grows proportionally. If churches are not going to divide into smaller communities, which I confess might be a better way, they will only survive and grow by adopting more efficient processes. Now if you wanted medical advice, you’d go to a doctor; legal advice, to a lawyer. If the church needs help being “efficient,” were would you expect them to look but the world of business—that’s where the efficiency experts are. But here’s the rub. For all the ways that a church is like Steelcase or Amazon, must be like Steelcase or Amazon to exist in a world of corporations, she is not Steelcase or Amazon. The church is not at its core a business seeking to sell a product or make a profit. The church is entrusted with a responsibility with which no business in the world was ever entrusted. She is charged with caring for the souls of people, their spiritual well-being, their wholeness as creatures beloved by God. Likewise religious institutions like universities, mission organizations, and soup kitchens participate in this mission in their own specialized ways as arms or extensions of the church. Thus the church-parachurch organization conceives its identity and mission differently than Wells-Fargo or Walmart. And people rightly expect that the church’s primary interest be the well-being of souls. So whenever the church acts out of the business side of its identity in a way the causes pain to someone, that act will very naturally be perceived as an abandonment of the church’s primary mission. It is predicable, inevitable, unavoidable. Even when the church has done all she can to mitigate the most dehumanizing and soul-killing parts, the fact remains, the pastor is now unemployed, the missionary has been sent home. When every grace has been extended, the staff member is no longer there. When every “best practice” has been followed, the departing person cannot help but feel as if their mother has thrown them out on the street to make their solitary way in the wide-wide-world. And all these feelings of betrayal and abandonment will in a sense be justified. Justified because the church’s primary mission is to heal, and it has instead done harm. Harm it could not help, perhaps, but harm nonetheless. It is not a fiction, a mere emotional response, a technicality. It really truly is much worse when a church terminates an employee. If ever it ceased to be scandalous it would mean that the church was no longer the church. The very sense of scandal about it alerts us to the differences at work in her. That feeling of betrayal is a signal, an invitation to consider the way of the church in the world. How are we to think about all this efficient harm? The saintly mule would like to suggest some realistic perspectives on it for you to consider. That feeling of betrayal is a signal, an invitation to consider the way of the church in the world. First, we must not try to call it what it is not. We must not try to remove or downplay the scandal we feel. Do not pretend that this is merely “best practice.” When religious institutions charged with the care of souls terminate an employee, even when done for cause, it is different and more hurtful than when it happens in the for-profit world. Do not deny this or try to hide it or you simply reveal that you do not really understand the mission of your church or organization. We must always acknowledge a breach of Shalom when we see it. We must mourn it in a way that McDonalds and Target never will, never can. This is simply honest and prevents us from degenerating into mere business. Even if the termination is necessary, own the evil that the termination is. It will change your response to the person across the desk from you. Second, we cannot realistically expect the church to unmoor itself from its cultural context. You cannot ask or expect the church to not develop the business side of her identity. You must expect her to act justly, yes, but so long as the church is a thing that hires employees, she will be a thing that must terminate them. It is a logical necessity. The vision of a church without employees is a noble one, but that resolves one set of struggles only by introducing a new set. A church with no employees is by definition a church of all volunteers. And anyone who’s ever led volunteers knows that this is no peaceable kingdom. It is only different set of problems. Third, churches and parachurches must stop lying to themselves about their actual values. Whatever core values or mission statements they espouse—Christ, the Kingdom, Universal Love, Compassion, whatever—our institutions must be conscious that alongside these magnanimous values lies a darker but equally compelling one—a value they will act from and not even know it—the value of “survival.” Institutions fight for their survival with the primal ferocity of other living things, and in itself this is a good thing. Institutions do have a responsibility to its employees, to their stated mission, to the constituency they serve. So when the institution meets a threat to its mission or existence, it will act instinctively to mitigate the risk. It’s seldom personal, and seldom preventable, like the reflexive jump when the hammer hits the knee. But when religious institutions forget or fail to acknowledge how deeply ingressed that survival instinct is, their actions become uninterpretable to those who watch them. They appear hypocritical, and it appears to falsify their altruistic claims. “How can Christ, Kingdom, or Love be the real central value when they go and do that…?” This lack of candor breeds fear and cynicism. In addition, no person working at a church or parachurch should be under any illusion regarding the institutional aspects of their employer. Never idolize an institution. It is not so holy as to do no wrong, nor so wise as to do no harm. And by definition, it has no soul. Be a realist about what the church must be in an employment-driven culture such as this. 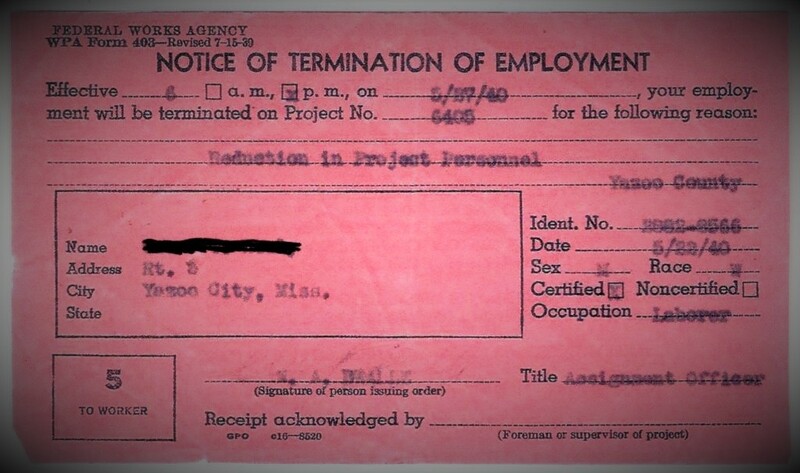 Finally, should you find yourself on the business end of a pink slip, be angry, yes, you have the right to grieve. But in your grieving, do not cling to the conclusion that the institution therefore cares nothing for people, the gospel, or its stated mission. That just is too simple. The church is trying to be both a soul-care organism and an organization with employees. There is no perfect walking of such a line. Mistakes will be made, and even when they are not made, harm will still be done. The church in this culture will always have the competing interests of soul-care and employment management. The American Church is not the pure spiritual animal we often believe it is or want it to be. It is an incarnated body that always exists in a context, and that context is a bureaucratic nation-state wherein the church hires employees. This means that the church in this culture will always have the competing interests of soul-care and employment management. Romanticizing about the virtues of a some other cultural model may be inspiring but of limited help in most established churches who are built on an employment model. So the more fully we acknowledge this reality, the more fully we’ll be able to enact the kingdom in such matters as the binding and loosing of pastoral staff. Join us next time for another installment of Jilted by St. Asinus. If you would like to support St. Asinus in the productions of these little essays, please visit our Patreon page. Also remember to subscribe to the podcast. We’ll see you next time at the Homilies of St. Asinus, the recycled saint. Amen. Three years after both my wife and I were released from a long standing teaching position at a Christian school it is still painful. We eventually left our home church of two decades because the feelings of abandonment were too raw. Perhaps unwittingly, our exile seemed reinforced every Sunday when friends increasingly drew away to other relationships and opportunities to serve were denied. Still, bitterness is a choice unfortunately too frequently made. Thanks for sharing this painful memory, and I grieve the pain it represents. “The out of sight-out of mind” effect never ceases to amaze me…and yet, it’s also so common as to be called “inevitable.” I’ve discovered that it is almost never done out of malice. No one means to abandon…life just sort of goes on, people get busy, and silence grows. I’m actually preparing some thoughts on “how to know if you’re abandoning someone who needs you.” Thoughts from your experience (or anyone else reading this) would be helpful (you can email if you’d prefer some privacy :). The Church do better…it must, but it will take a change of will and habit. Peace to you. Having grown up in “the church” for my entire childhood…this makes a lot of ideals and unknowns a little more clear. Thanks! Glad it helped. Much that was mysterious to me also were clarified by the journey. Not always pleasant things to learn…but facts are friends. blessings. I think that anyone who has served either at a church or in a Christian organization, either as a volunteer or a paid employee, has a story of pain to share. That does not in any way diminish the pain or the stories. After my own experience, I shared my story with a dear friend. I asked the question: Why does this hurt so much? She responded with one sentence: Because churches shoot their wounded. This stayed with me long after the memory of the incident did. Your story is about one of your employers. I was a part of the church that also fired its guns at you during a time when you needed love, mercy, and grace. Instead, you were told you could no longer attend the church, though your wife and children were welcome. Gun or knife? Doesn’t really matter. Yes, volunteers can suffer the same pains as employees. A very good point and should be added to this! And regards my own story that you watched, you are right regarding the subjective pain that you mention, but in the interests of full disclosure, I must repeat, if guns were fired at me, it was because I loaded and aimed them. I own that. Nothing here seeks retribution on anyone. I just want my journey to help others, as I’m sure you want yours to. So let us keep learning and growing and working so that Christ’s Church remains a place where we can discuss even hurtful things with grace.